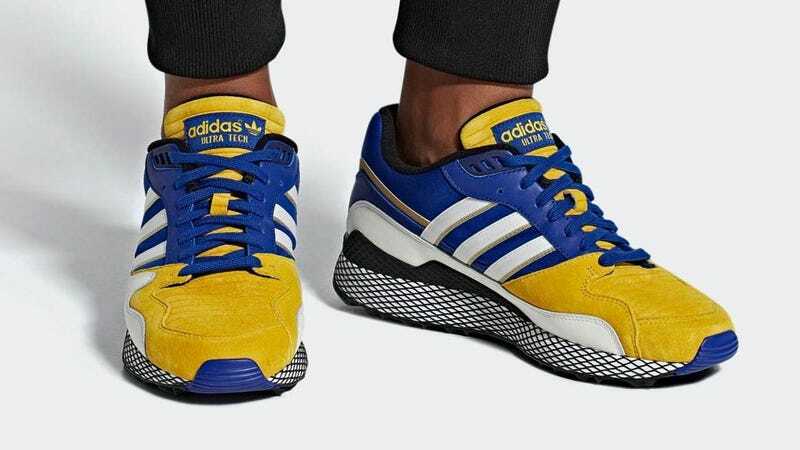 Because the shoes themselves have mostly been trash, Adidas has been leaning on gimmicks to try and make their big line of Dragon Ball sneakers more appealing. The latest example being these Vegeta kicks. I would not buy these for my five year-old. Which for die-hard fans might be...something they’d be interested in? With most of the shoes now out, and with Game of Thrones coming in early 2019, we’re nearly at the end of this Dragon Ball run. Now bring us the Shenrons—the only good designs of the lot—and we can all get on with our lives. These will be out November 24, and go for $180.